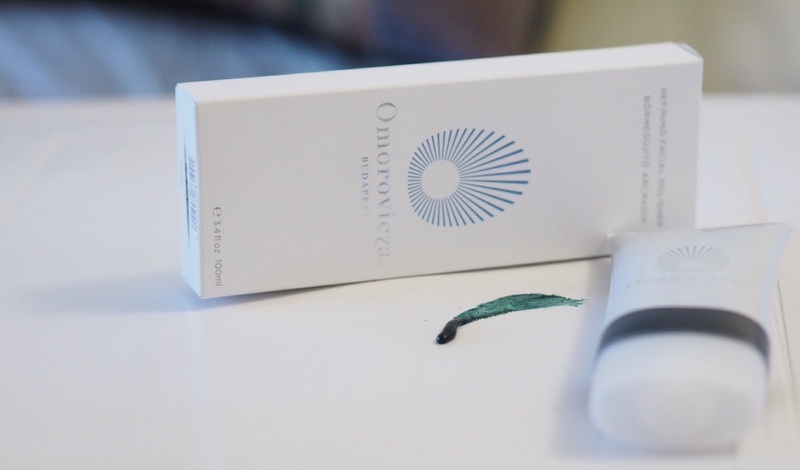 A few years ago, I fell deeply in love with a cleanser, so deeply in fact, that I hoarded the final few millimetres in the jar for three years, saving it’s use for only very, very special occasions. Recently, I was lucky enough to be reintroduced to the entire Omorovicza range (and that heavenly cleanser) and this product has become a little obsession recently as a result. A bright emerald green from the algae and the copper in the formula, Refining Facial Polish is both a chemical and physical exfoliant, lava powder provides the physical (grainy) exfoliant, and there is a selection of fruit acids in here too, which provides the chemical exfoliating effect. 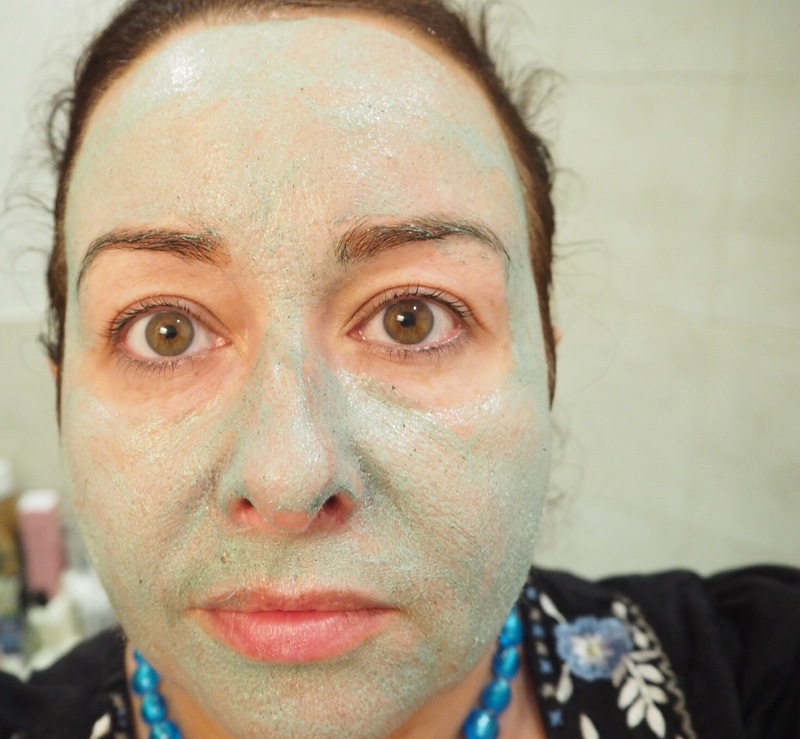 Then, once the dark green has completely disappeared and your face is fully covered, you can either leave it as a mask for two minutes (taking selfies at this point is completely optional, I assure you) or simply skip the mask step altogether and rinse off completely and follow with serum and moisturiser as normal. Once rinsed, your skin will be smooth and soft, and free from any rough patches. There’s a slight tingling sensation on the skin whilst in use, as you will get from most acid-based exfoliants, but it is very slight, and passes as soon as you rinse the product from your skin. 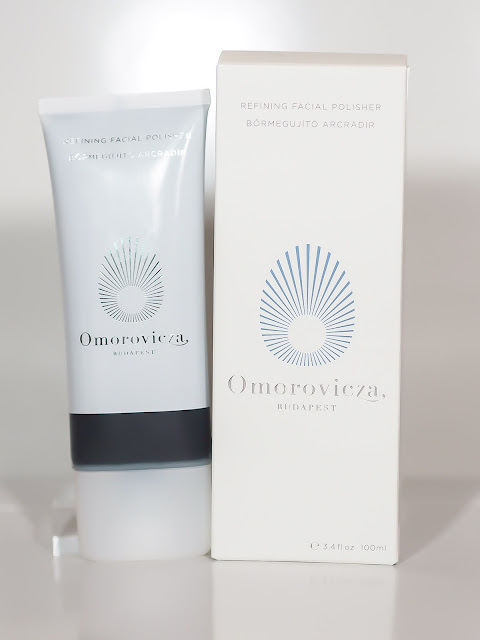 Omorovicza recommend this for all skin-types except the very sensitive, and I’d go along with that. It hasn’t irritated my sensitive skin, but I have spent years accustoming myself to acid peels, so I may not be typical. I love how velvety soft this polish leaves my skin, and I’m having a hard time rationing myself to using it just once a week. I know you raved about the Clinique Turnaround Mask/Polish …is this even better?